A pelleted concentrate for improved respiratory hygiene, containing nine carefully researched beneficial herbs plus vitamin E. Used to support the bronchial system and natural respiratory defences on a long term basis. Black Horehound and Thyme support the maintenance of a clear, un-restrictive airway while Coltsfoot, Grindelia, Mullein and Climbing Ivy help maintain secretion production that is of optimal viscosity. Thyme, Liquorice, Burdock, Grindelia and Mullein are also reputed for their support of the respiratory hygiene status. Vitamin E, with grape seed extract (polyphenols), has a synergistic antioxidant role and contributes to normal defence mechanisms. In conjuction with good management, dietary fortification may support the respiratory and immune mechanisms necessary for a good health. SECRETA PRO-MAX is an association of carefully selected and refined plant extracts, enriched with Vitamin E, targeting the healthy performance of the respiratory system. 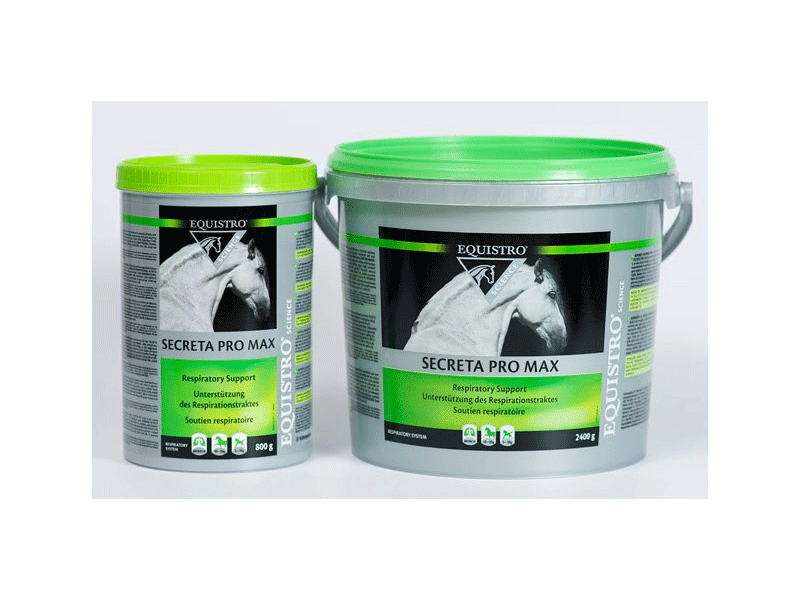 Complementary feedingstuff for horses: SECRETA PRO-MAX is recommended for horses to maintain normal respiratory function and environment. Add SECRETA PRO-MAX to the feed ration. During the first 7 days, the quantities below should be doubled. Below are some recent questions we've received regarding Equistro Secreta Pro Max for Horses, including answers from our team. Does any of the contents clash with or reduce the affects of bute/Danalon? No, this product is perfectly fine to use at the same time as bute or danilon. Is this supplement competition legal under FEI? Does the supplement contain any prohibited substances under FEI rules? Is it legal to use before and during competition? 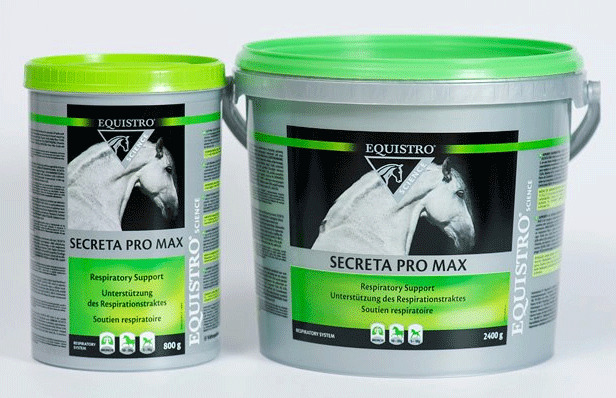 Yes, Equistro Secreta Pro Max is suitable for use under FEI rules before and during competition.